Each Visitor Centre has a gift shop with a great range of products from small pocket money items to local maps and books on local history and nature as well as trinkets, jewellery and local crafts. 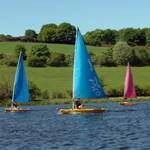 Giving a gift voucher for an Outdoor Activity course is popular as a birthday present or a Christmas gift, contact the shop at Castle Semple to order or buy online here. Gift vouchers can be used towards any items in the shop or our Outdoor Activity courses and come in any amount. 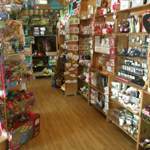 Look at our events or facebook page for details of local and volunteer craft fairs and seasonal sales in our gift shops with promotions like 20% off for one weekend only.